In its pursuit to develop the most advanced skincare collection for mature women, Phytomone reveal the unique power of Cosmetic HRT™, to rejuvenate the skin’s appearance and recapture that timeless radiant glow. After years of proven research into the unparalleled influence oestrogen has on skin health, Phytomone remasters this vital hormone with the introduction of Cosmetic HRT™. 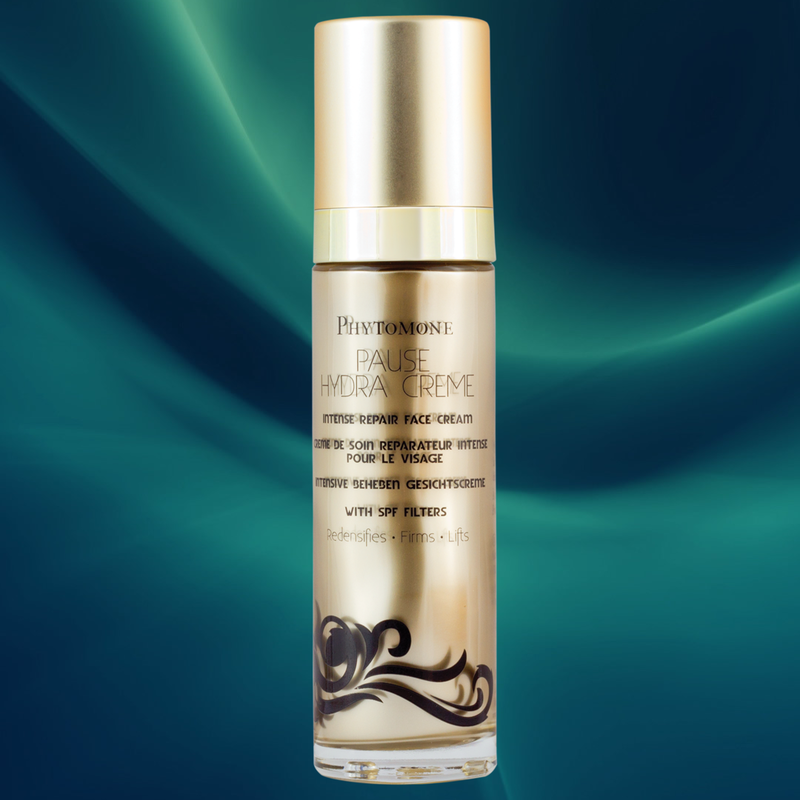 Pause Hydra Creme goes beyond what was previously achievable - A restorative cream/serum hybrid that offers a unique element of sheer indulgence paired with the most cutting edge skin care technology. *100% safe & natural. Derived from plant hormones that do not effect hormone levels within the body. It has long been scientifically proven that the effects oestrogen has on skin health are immeasurable. Without this vital hormone, skin rapidly deteriorates. Phytomone’s breakthrough Cosmetic HRT™ science augments naturally derived plant hormones with nutrient dense moisturising agents, encapsulated in an advanced lipo delivery system. Pause Hydra Creme is the powerful result of this impressive innovation. With Pause Hydra Creme you will be pushing the boundaries of moisturising capabilities and securing the future of your skin health. 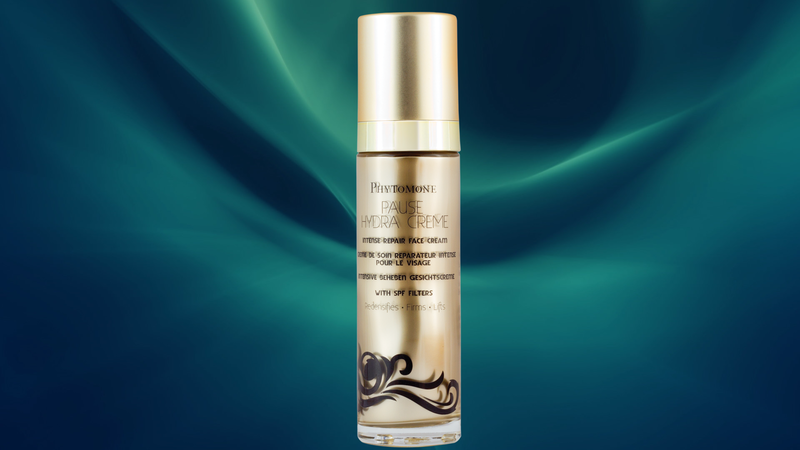 The formidable Pause Hydra Creme with Cosmetic HRT offers an exquisite moment of indulgence every day, as this magical elixir glides effortlessly and smoothly over your skin. Leaving it feeling wonderfully soft. Housed in an exquisite Italian glass bottle. Dispenses in a precise measured amount from the advanced airless pump system. Depress once or twice and gently smooth over cleansed face, neck and décolletage.